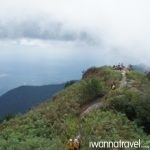 Mount Ophir (or Gunung Ledang) is a 1,276m tall mountain situated at northwest Johor in Malaysia. 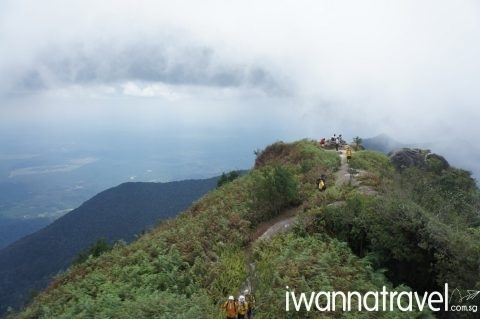 It is one of the most popular and challenging mountains in Malaysia that can be done in a day; commonly used as a training ground for aspiring mountain trekkers. 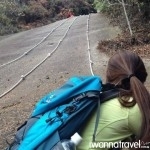 For this 2D1N trip, we will spend the first night in a resort at the foot of Mount Ophir before taking the Lagenda trail for the summit hike on the second day. 800am – Pick up from Marsiling MRT Station by our friendly driver. There will be a break for early lunch along the way. 1230pm – Arrive at Gunung Ledang Resort, After resort check-in, you will proceed to Kolam Puteri Waterfall which is a short 30-45 min hike away. 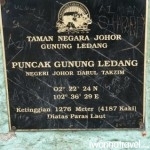 330pm – Back at Gunung Ledang Resort. Rest and relax at your own leisure till dinner time. 500pm – Head out to Tangkak town for dinner. 800pm – Back at Gunung Ledang Resort for an early night. 645am – Rise and shine! After hotel breakfast, you will check out from the hotel and transfer via our transport to Mount Ophir National Park. 730am – Arrive at Mount Ophir National Park and meet your mountain guide who will provide an introduction to the mountain and conduct a safety briefing. You will be required to declare the items that you are bringing up the mountain and provide a refundable rubbish deposit. Inform the guide before the climb if you wish to have a climbing certificate. Deposit any stuff you do not wish to carry up to the mountain at the National Park office (lockers are available for rental at 10 MYR ea). If you have ordered packed lunch, please collect it from your guide before the hike. 800am – Start of climb. 1230pm – Reach the summit and enjoy your lunch. 130pm – Start descending back to the mountain base. 600pm – Arrive at the mountain base, wash up and transfer to Tangkak town for dinner. 730pm – Head back to Singapore. 1200am – Arrive at Marsiling MRT station. A good level of fitness and/or trekking experience are recommended for this trek. 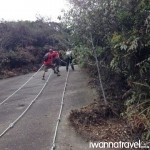 Beginners who wish to hike this mountain should be comfortable with walking on steep slopes for prolonged hours. Other mountains in the same difficulty range would be Mount Belumut and Mount Nuang. 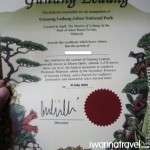 Check out our list of Gunungs in West Malaysia. 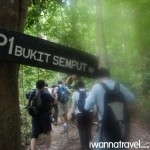 Need more information on the Mount Ophir trek? Read through our Mount Ophir frequently asked questions (FAQ) and get them answered! If you need some help in preparing for your Mount Ophir climb, check out our Tips on Overcoming Mount Ophir’s Obstacles! Other accommodation options such as chalet or hotel stay can be arranged. Depending on your interest, we can also arrange hikes to other sights in Ophir such as Twin Falls at Kolam Gajah (a taller waterfall compared to Kolam Puteri Waterfall). 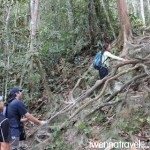 An alternate itinerary is our Mt Ophir 2D1N Camping Trip (with Twin Falls). We can also arrange onward journey to Malacca. 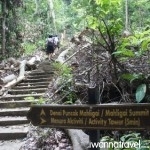 For day trip option, please check out our Mount Ophir Summit Itinerary and the easier Mount Ophir Twin Falls Itinerary.